Today everyone has an opinion on wheat. Some think it is toxic, others think it is healthy. Common dietary guidelines encourage you to fill up on grains and whole wheat if you want to be healthy. What must be remembered is that we, as humans have been using wheat as a dietary staple for the last few thousand years. It's been around for a lot longer than the modern lifestyle diseases, so it makes no sense to blame wheat for the evolution of these. However, that is only partially true - the wheat that we eat today is not the same wheat that our parents or grandparents grew up eating. Today's wheat is nothing like that which we were eating thousands of years ago. To start off with, look at how it has been processed over the years. 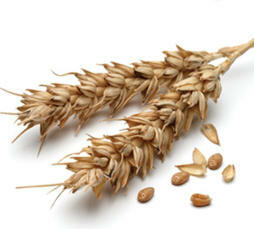 Processing changed in the 1800's which made it possible to process wheat in large quantities, at a reasonably low price. Nowadays, we can even remove the healthy components - the germ and bran - in order to leave only the carb-rich endosperm. This means that refined wheat has little nutritional value and can easily spike your blood sugar levels. If only that was all - in the past the way we prepared grains was very different too. They needed to be soaked and allowed to sprout. Fermentation was allowed to occur before the bread was baked, through the use of a slow rising yeast. Allowing grains to sprout and ferment is actually a good thing. It makes more lysine available, helps to decrease the numbers of anti-nutrients and reduces the efficacy of enzyme inhibitors. All of this means that the nutrients are more readily available. Modern methods include bleaching the flour and using a fast rising yeast. Nothing else. It is therefore very clear that the traditional method of food preparation has largely fallen by the wayside. Wheat comes from any number of different breeds these days. Ancient varieties such as Kamut, Einkorn and Emmer are pretty hard to come by now. The wheat we eat today is pretty much a genetically modified product from the 60's. The modification increased the yield, made the plants smaller and less expensive to grow. These benefits came at quite a cost, though. This new wheat has a rather different structure when it comes to the nutrients and proteins it contains. One of the most extensive studies on wheat is the Broadbalk Wheat Experiment started in 1843. Since then, scientists have grown different strains of wheat and analyzed various factors, including nutritional composition. Until the 1960s, not much changed. With the introduction of 'new' wheat that year, the nutritional content decreased, in some instances by as much as 28%. The problem is that people worldwide tend to rely on wheat as a staple in their diets. It is no wonder that so many people are suffering from nutritional deficiencies. Examine your own diet to see if you could benefit from a nutritional supplement. Celiac Disease is a very serious disease, it is the worst form of intolerance to gluten there is. If sufferers eat new wheat, their bodies identify the gluten in it as a foreign body to be destroyed. The problem is that the attack doesn't stop at the gluten - the gut lining also comes under fire. This weakens the lining and makes it possible to suffer from a leaky gut and uncontrolled inflammation, to name just a couple of the complications. The numbers of sufferers have been steadily rising for years now. In the past 50 years alone, the number of sufferers has quadrupled and now an estimated 1 in every 100 people has the disease. Gluten itself is not just one protein but rather a family of them. Glia-a9 seems to be the one that causes the most damage and it is found in much larger quantities in new wheat. Researchers, have therefore theorized that new wheat may be causing an increase in people suffering from celiac disease. This has provoked a number of studies. In one project, researchers tested the effect that Einkorn (an old variety) and new wheat had on cells harvested from the intestines of celiac sufferers. Einkorn provoked no response. The same was not true of new wheat. A different study proved that celiac patients could handle gluten derived from old wheat even better than they could rice - which has no gluten at all. The preparation of wheat might make a difference too. One study noted that celiac sufferers who ate bread made using wheat that was fermented caused no adverse reaction. The results do not suggest that celiac sufferers concentrate on using Einkorn wheat or eating bread made with sourdough - there is not enough evidence at this point. What is interesting about these studies is that new wheat is able to trigger a fairly severe immune response and could be the reason more celiac cases are coming to light. No one would disagree that celiac patients need to avoid wheat. More and more people are also coming round to the idea that there is such a thing as sensitivity to gluten. The problem with the skeptics is that they will not consider that there may be inherent dangers in eating wheat for all everyone. I dug around and looked for studies conducted on healthy people. 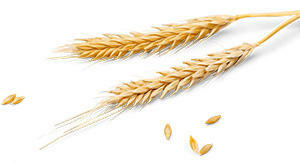 In one such study, the effects of Kamut (old wheat) and new wheat were compared over a group of 22 people in good health. The participants were divided into two groups, each had to eat either the old wheat or new wheat for two months. The Kamut group had better cholesterol levels and trace nutrient levels. 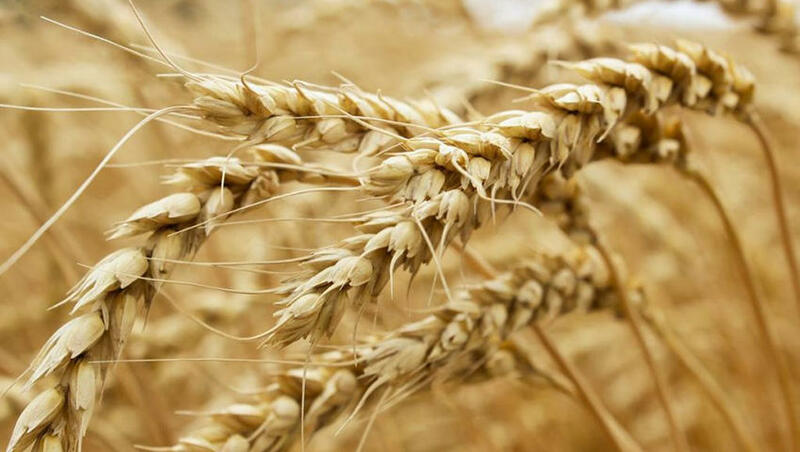 The effect in terms of inflammatory markers was also measured and it was found that Kamut actively decreased several of these, whilst new wheat, at best, changed nothing. More research is necessary but it certainly points to the fact that the wheat made by nature is not as harmful, as the wheat that man has interfered with. Can I Eat Bread Made With Wheat? If you are able to get some bread made using one of the old wheat varieties and, as long as it is whole grain, by all means, try it. Better still, make your own. All you need is one of the sources of the old grains. You then prepare them as your ancestors would have. When it comes to wheat nowadays, throw it out. Scientists have still not learned that they cannot improve on mother nature's design. If you must eat wheat, make sure it is the older variety.